From a single room to your entire home, it is our aim to minimise the disruption and hassle to your home whilst professionally completing your project. We are experts at repainting your weatherboard, brick veneer or rendered home. Need help with other trades? We can organise tradespeople that you need. We have been painting new homes in Launceston and surrounds for over 25 years. We are skilled at Airless spraying resulting in great finishes for your home. Launceston based, Letter Painters & Decorators have been your local Painters & Decorators since 1986. Specialising in residential projects, whether it is a new home, established home or a rental property, we can beautify and protect your home or investment inside and out. We also complete light commercial projects. 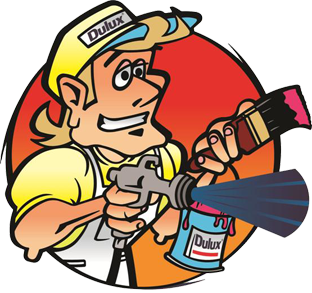 We recommend and use paints from the Dulux Premium range of products, offering great quality paints that have low VOC, making them good for you and the environment. Our staff are employed on a full time basis (we do not use sub-contractors), providing you with trades people and apprentices that are competent, friendly and trustworthy. We will complete your project to a high standard, leaving you with fine quality workmanship that will stand the test of time. We have been Accredited by Dulux for since 2003 and have been Members of the HIA since 2000. Need help with colour selection? Talk to our colour consultant! Need a Warranty? We offer a limited 5 Years Warranty (conditions apply). Need painters you can trust in your home? Give Rob Letter and the team a call today.